Drawknife Billiards, best known for its handcrafted rustic and western style game furniture, builds each of its game tables with pride and quality craftsmanship. Our original Yellowstone Collection, built from locally-harvested Lodgepole pine, incorporates the rustic log designs inspired by the pioneers of the old west. Using the natural wood character of logs from the forests around our area, our craftsmen build each piece into a unique, custom item of game furniture. Over time, our product lines have expanded to include two collections with a more traditional look, The Gallatin Group and The American Prairie Collection. Each of these lines incorporates the unique rustic, western style that has made Drawknife an award-winning name in the game room furniture industry. Each billiard table in The Yellowstone Collection is constructed of a thick hardwood frame, braced and further reinforced by extruded aluminum fasteners. The frames are leveled top and bottom to ensure that the diamond-honed three-piece 1" slate lies flat and true to satisfy even the most discriminating player. The logs and timbers are standing dead or down and are further seasoned at our facility. All of Drawknife’s product groups offer a tasteful selection of textures and stains (see below). We use only environmentally safe finishes to achieve a deep satin luster. The top rails of each billiard table feature an exclusive Drawknife insert, assuring that the pocket-to-rail connection will last a lifetime. We use Olhausen Accufast© cushions available for consistent and accurate rebound. Each rail is bolted through the slate for maximum rigidity. The target sights are round mother-of-pearl or our own French-diamond sights of exotic cocabolo hardwood inlaid by hand. Pockets are available in many attractive designs and colors. Standard - contains primarily straight logs with minimal knots, bends or unusual character. 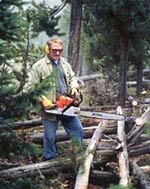 Wilderness - contains logs that feature what is sometimes called "cat face." The flowing patterns in the surface of the lodgepole pine trees can be caused by animal interaction (porcupine chew), a disease (paradarym harksieniam) or a past event that has left a scar on the bark of the tree. Each piece is truly one-of-a-kind. Burl utilizes the highly rare and bulbous burl wood in its construction. Over the years, the master Drawknife craftsmen have developed the skills necessary to build a burl table. Our team of designers and craftsmen will work closely with customers to create these works of art. A true collector's item. The Gallatin Group adds inset quarter-round log trim to each piece to bring out the rustic design. In the American Prairie Collection, Drawknife maintains the western and rustic character of each piece through the use of distressed Knotty Alder. 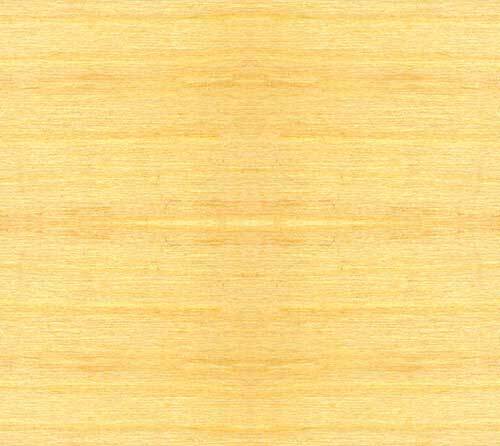 The same stains are offered as with the other two product groups, but the stains appear somewhat darker on the Alder than on the pine. **DISCLAIMER: These samples are merely to give you an idea of the possible wood stains available. Due to differences in monitors, resolution and color reproduction, we do not claim that these samples are precise. There will be some color variations, even within the same type of wood, particularly in the more heavily naturally distressed logs. 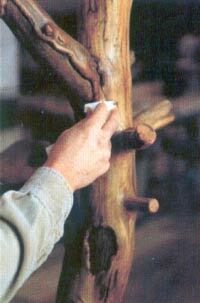 Also, the same stain color will usually finish slightly darker in the Knotty Alder than it does on the pine.